In 2010, as part of the Pentland Firth and Orkney Waters leasing round, The Crown Estate awarded an agreement for lease (AfL) to MeyGen Limited, granting the option to develop a tidal stream project of up to 398MW at an offshore site between Scotland’s northernmost coast and the island of Stroma, as shown in the map below. The 3.5km site covers some of the fastest flowing waters in the UK, just 2km from Scotland’s north-east tip. To the north of the site is the uninhabited island of Stroma, which creates a natural channel with the mainland to accelerate the millions of tonnes of water flowing between the North Sea and the Atlantic Ocean every day. This site was originally identified by Atlantis in 2007, following a global review of tidal resource which concluded that the high flows, medium water depths and proximity to the mainland rendered it a prime location for development. 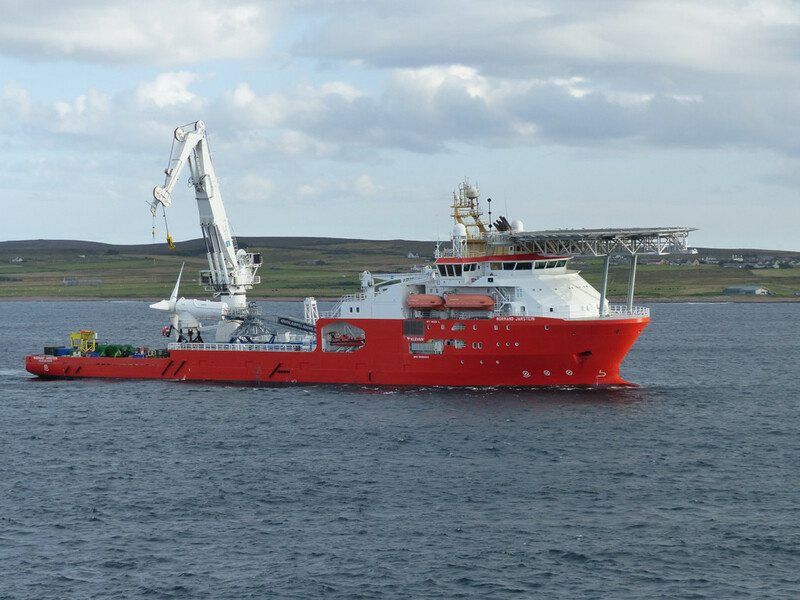 The first phase of the MeyGen project (Phase 1A) involves the deployment of 4 No. 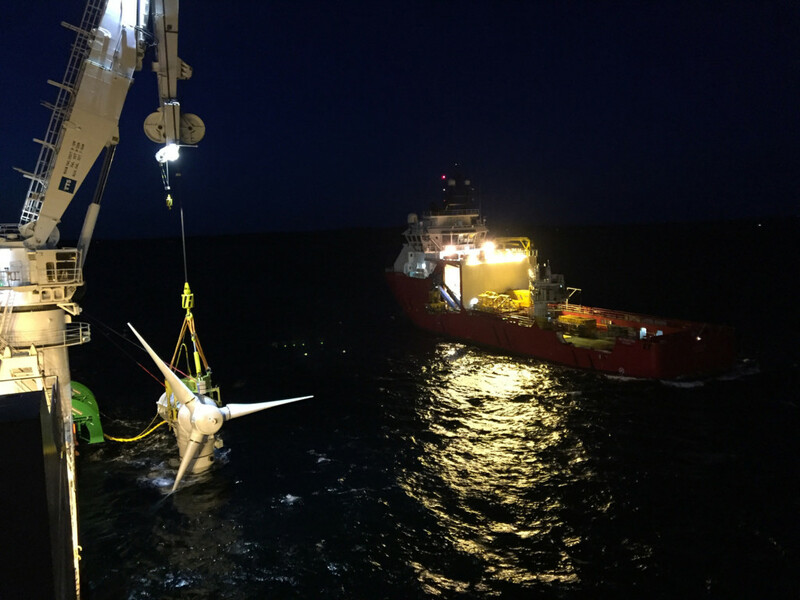 1.5MW turbines installed on gravity turbine support structures as part of MeyGen’s “deploy and monitor strategy”, and will act as a precursor to the development of the remaining consented 86MW project. The project will demonstrate that the development of tidal array projects is both commercially viable and technically feasible, with the invaluable lessons drawn from the construction, installation, operation and maintenance of this phase (of the project) fed into subsequent phases. Each turbine is located on an individual foundation weighing between 250 and 350 tonnes, coupled with 6 ballast blocks weighing 1,200 tonnes that provide horizontal stability over the lifetime of the turbine. Each turbine has a dedicated subsea array cable laid directly on the seabed and brought ashore via a horizontal directionally drilled borehole within the foreshore bedrock. The turbines feed into the onshore power conversion unit building at the Ness of Quoys, where the low voltage supply will be converted to 33kV for export via the 14.9MW grid connection into the local distribution network. On completion this phase of the tidal array will generate sufficient electricity to supply 2,600 homes. The planning consent for Phase 1 includes three power conversion unit buildings, which have been designed in consultation with The Highland Council and Scottish Natural Heritage as modern functional industrial buildings that reflect their landscape and historic environmental context. Phase 1A will incorporate two different turbine technologies (Atlantis Resources AR1500 and Andritz Hydro Hammerfest AH1000 MK1), with environmental monitoring equipment installed that will assess the interaction between the tidal turbines and the marine environment including marine mammals. The results of the monitoring work will be used to inform subsequent phases of the project. The supply chain for the Phase 1A project is spread across the United Kingdom, Europe and North America; 43% of the project’s expenditure is in Scotland and involves companies based in Caithness, and Ross and Cromarty. 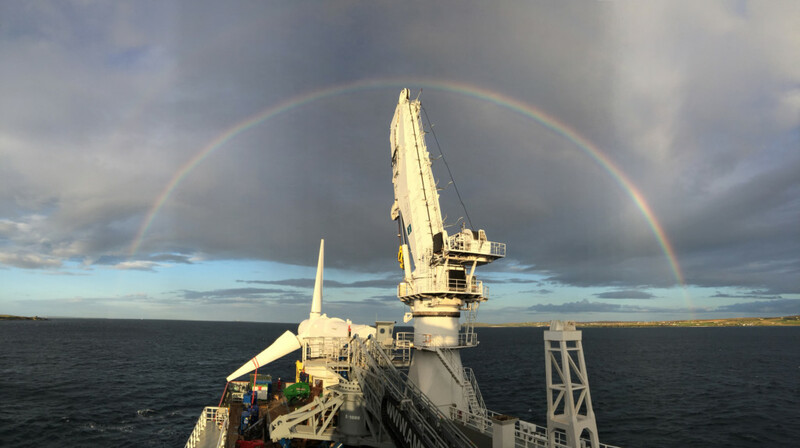 MeyGen has developed an active network management scheme with Lochend Windfarm (currently under construction), which will permit this windfarm to export to the local distribution network utilising the existing Phase 1A grid connection. 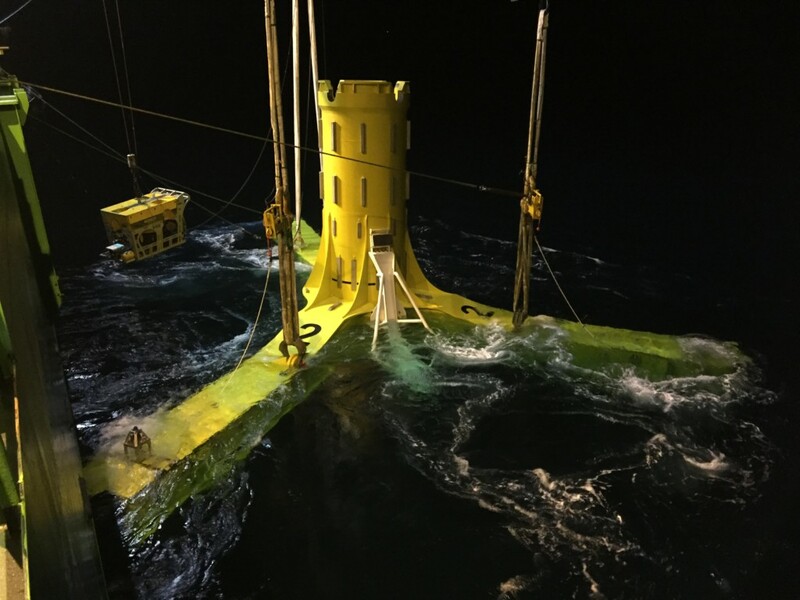 The second phase of the MeyGen project will involve the deployment of an additional 4 * 1.5MW turbines installed on innovative foundations. The project is a key enabler for future phases of deployment, by demonstrating the use of technologies which will significantly reduce the Levelised Cost of Energy (LCOE) from tidal generation. Atlantis has full consent, all necessary permission and grid capacity for Phase 1C. We will build an additional 49 (73.5 MW) turbines at MeyGen at an estimated cost of £420m, with installation commencing in 2019. The project will be transformational for the tidal energy industry, providing the necessary scale to justify the establishment of turbine manufacturing facilities at Global Energy’s facility in Nigg Energy Park. The project will also provide an investment opportunity for commercial debt and equity providers to invest in tidal stream projects. In addition, Phase 1C will create an estimated 5300 full time roles, repurposing jobs from the oil and gas sector and placing Scotland at the forefront of an estimated 25GW global export market for decades to come, as well as significantly reducing LCOE. 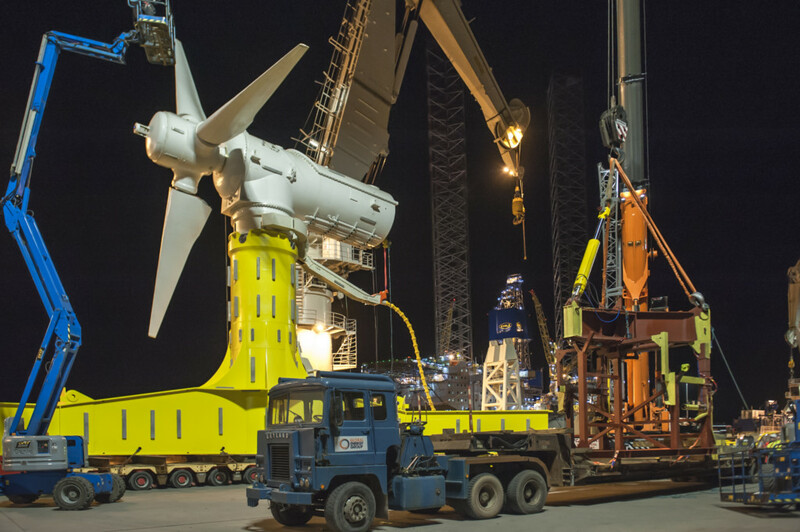 The MeyGen offshore lease currently permits up to 398MW of tidal stream capacity to be installed within the site. While presently MeyGen only has grid capacity for up to 252MW, the site is capable of supporting the full project buildout. This implies a potential Phase 3 project of 146MW which, subject to grid connection, turbine availability and speed of installation is scheduled for deployment following completion of Phase 2. Subsequent phases of the MeyGen project will provide commercial investment opportunities for major equity and debt providers, infrastructure and pension funds who currently invest in other forms of renewable energy such as offshore wind.